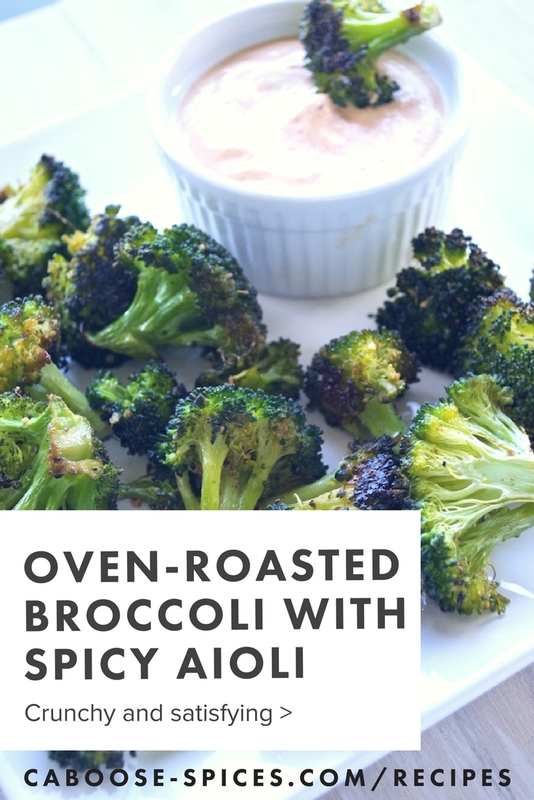 Oven roasted broccoli. The best way to eat this cruciferous veggie, hands down. 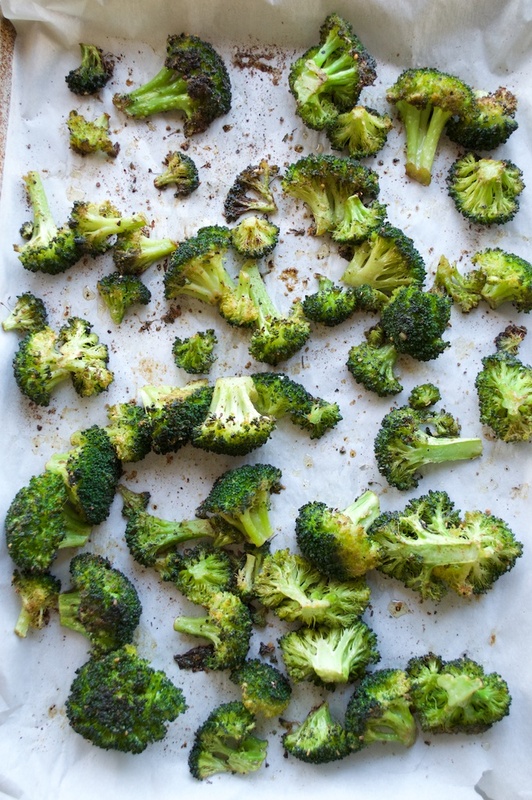 Seriously, once you have roasted broccoli in your oven, you'll never eat it raw or steamed again. I was first introduced to the concept of roasted broccoli in PaleOMG's Instagram feed. I was intrigued. I had to try it. And OMG, was it good. No more limp steamed farty-smelling broccoli for this girl! 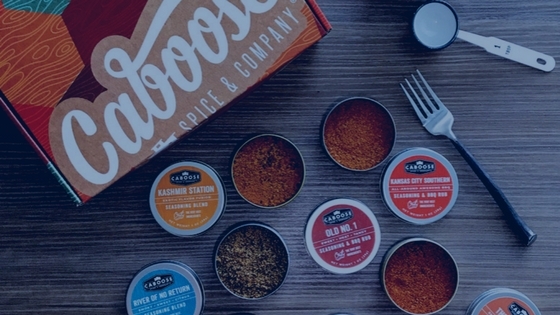 Our version uses Abilene Depot Steak & Burger Seasoning (not just for steaks & burgers!) to give it an extra smoky flavor. It's crispy, and wow — when paired with our spicy aioli sauce — makes an amazing snack, side dish, or hors d'oeuvre. Our spicy aioli starts out as homemade mayo (from this recipe) and adds a bit of sriracha hot sauce and Three Kings Smoky Spicy Sweet seasoning to give a delightfully smoky sweet flavor to the aioli. Preheat your oven to 425 F and place a rack in the lowest position (closest to the heat). Mix the mayonnaise, Three Kings, and Sriracha sauce, stirring well. Place aioli in the refrigerator. Toss broccoli florets in a bowl with oil and Abilene Depot seasoning until the broccoli is coated. Line a baking sheet with parchment paper. Arrange broccoli in an even layer on parchment paper. Bake in the oven for 20-25 minutes, until slightly burnt. Turn broccoli over about halfway through cooking. Serve broccoli with aioli sauce for dipping. Enjoy! *Feel free to experiment with amounts, depending on how spicy you want it.